Mission Maps, LLC does not share any information with third parties, excepting a reservation of the right to share shipping information with product suppliers for the express purpose only of shipping ordered product to customers. Email and payment information are kept strictly confidential. 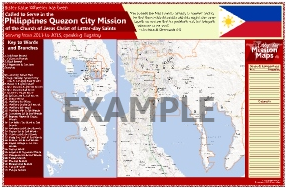 Reproducing maps or art purchased from Latter-day Mission Maps is strictly prohibited and illegal. By purchasing from this site, you agree not to reproduce in any form any of the art or maps purchased from this website. Disclaimer: Mission Maps, LLC and its subsidiary Celestial Printing are in no way affiliated with or associated with the Church of Jesus Christ of Latter-day Saints. Though many products appeal to a market largely composed of members of that faith, we are a separate private entity with no legal or implied business connections to that or any other religious church or organization.